◦From Rs. 2 Crore to Rs. 5 Crore for Lab Directors. ◦From Rs. 1 Crore to Rs. 2.5 Crore for Lab Directors.  •All Competent Financial Authority empowered to reallocate funds, reduce and enhance costs of projects/programmes within their delegated powers. •The powers of Director General (DG) have been enhanced from Rs. 3 Crore to Rs. 5 Crore for sanctioning Research projects to Universities, Technological Institutions and to Indigenous Defence Industry under the Technology Development Fund Scheme of DRDO. •Powers of post-contract management and maintenance support in respect of contracts for which CFA is the Ministry of Defence, have been delegated to Directors General of DRDO in line with the delegations already made to the Armed Forces. •Delegations for Hygiene and Maintenance Contracts, training expenses, miscellaneous and contingent activities have been rationalized and enhanced to ensure that sanctions are given at the Director and DG levels with minimal flow of files to DRDO HQ. Consequently, the powers for sanctioning of projects and for procurements that were hitherto with the Secretary Defence R&D have now been delegated to the Directors General of DRDO and the delegation to the Secretary, Defence R&D has been doubled, A number of powers relating to day-to-day functioning that were centralized at DRDO HQ have now been delegated to the DGs and Lab Directors. The delegations also bring flexibility in Universities and by indigenous defence industry. 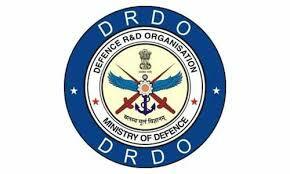 All the delegations that had been made in respect of the services have also been extended to the DRDO. The Director Generals of DRDO has expressed their satisfaction at this major initiative by the Government and have opined that these forward-looking measures would ensure that majority of the decisions relating to implementation and functioning would largely be taken within the technology clusters whereas policy issues would primarily come to the Government. Given the geographically dispersed Clusters and Laboratories, this will be greatly reduce file movements to and from the DRDO HQ at New Delhi and facilitate faster decision-making.